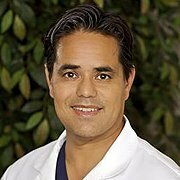 SAN DIEGO, CA--(Marketwire - Feb 20, 2013) - Dr. John Hilinski, a San Diego plastic surgeon, has devoted his career to facial plastic surgery. In addition to being a recognized expert in the field of rhinoplasty, Dr. Hilinski offers a number of injectable filler treatments at his private practice. Hyaluronic acid fillers -- such as Restylane® and Juvederm® -- are the most common dermal fillers used at Dr. Hilinski's practice. This category of filler is made of a biologically compatible gel containing a synthetic version of hyaluronic acid that mimics the hyaluronic acid already present in a patient's body. According to Dr. Hilinski, the cosmetic results of most hyaluronic acid fillers last 10-12 months. The second most common filler used at Dr. Hilinski's practice is Artefill®, which is the only FDA-approved non-absorbable (aka permanent) filler on the market. Dr. Hilinski says Artefill® offers an alternative for patients who have enjoyed the success of dermal filler injections but do not want to continually visit the doctor's office for the maintenance injections associated with hyaluronic acid fillers. The most common area of the face Dr. Hilinski treats is the nasolabial folds (smile lines). In many of Dr. Hilinski's San Diego facial plastic surgery patients, these smile lines can become quite deep and create a significant shadow, causing patients to look prematurely aged or tired. By injecting a dermal filler under the smile line, Dr. Hilinski can help soften this unwanted crease, providing a more rested, youthful appearance.